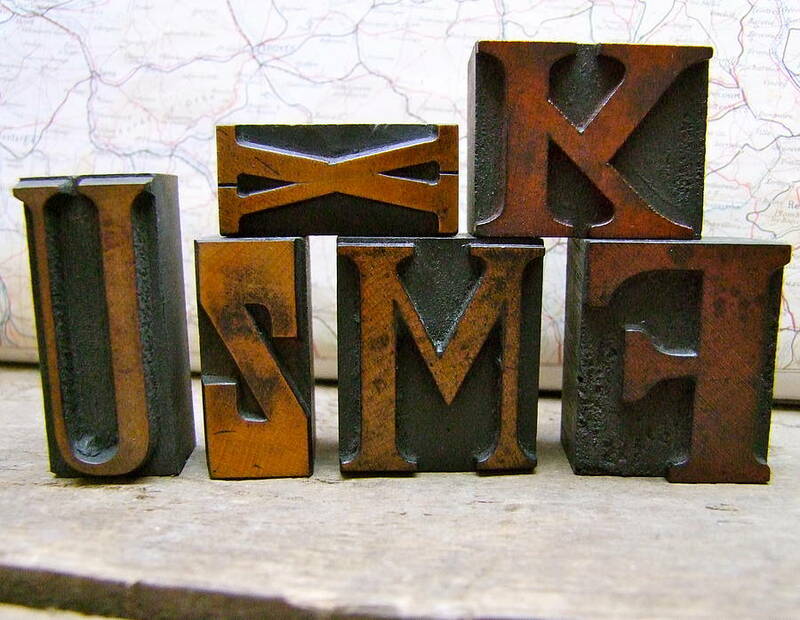 These old print blocks, can be used to spell out meaningful text and dates, perhaps names, initials or words*. Our treasured collection comprises of different fonts, sizes and date of manufacture, some circa late 1800's through to 1940's. 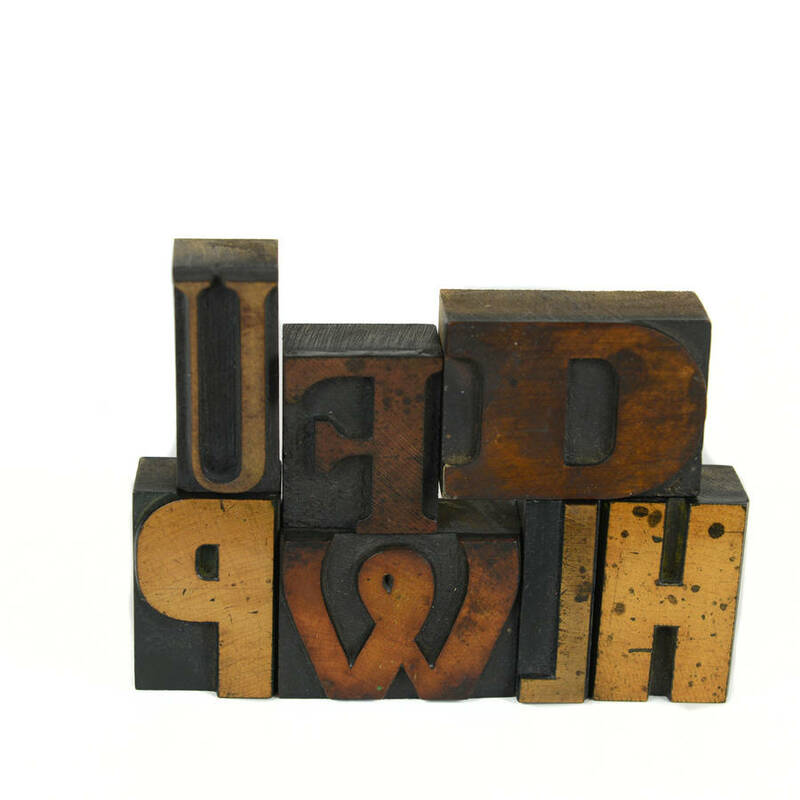 All were used in the printing industry, so each block has a varying degree of ink and patina, and of course all of our blocks are back to front which adds to their appeal. 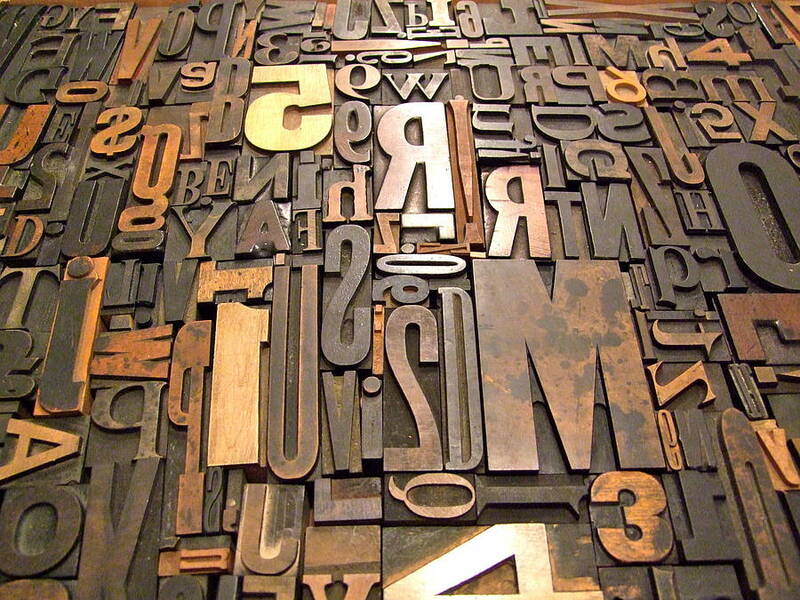 The letterpress can still be used for printing. These blocks are so special nowadays as most were discarded and burnt when new printing techniques came into place. Some have been found and saved, which makes them unique and collectable, so once they are gone, they are gone! Our bestseller! Also popular for wedding's as usual favors or gifts. Your order will be wrapped in tissue with a small information note. Price is per block, up to 1.5 inch (measurement taken on its longest edge), the image above is an example for display purposes only. *This does not include ' Love'. Exclusively available on a separate listing 'Vintage Printers Love Letters'. NB. 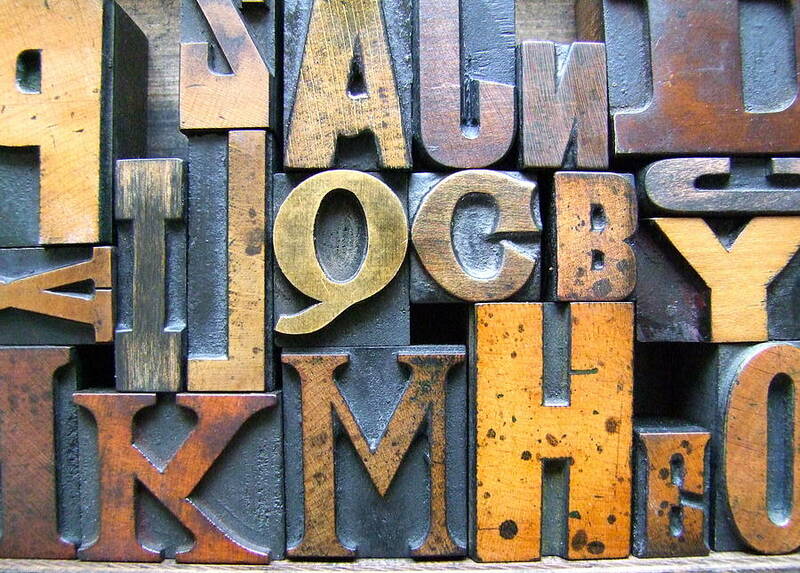 We have a selection of different fonts. 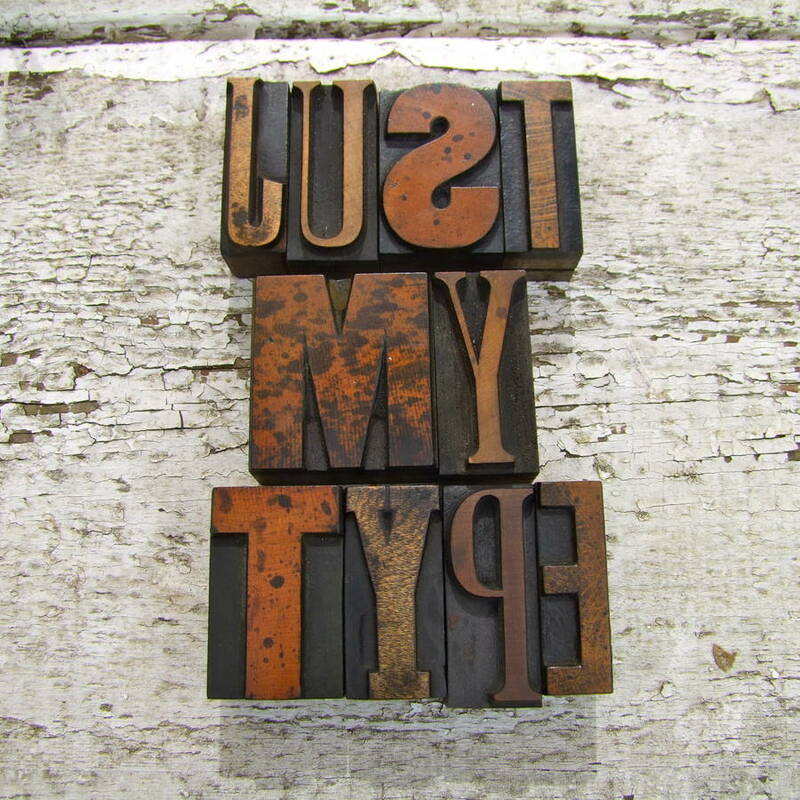 Once you have placed your order, we will select each block with care, these will not necessarily be the same font or style. Usually we send a mixture of upper and lower case letters, with a mix of sizes within the size range you have selected, unless you advise us otherwise. Sizes range from 1 inch up to 3 + inches. 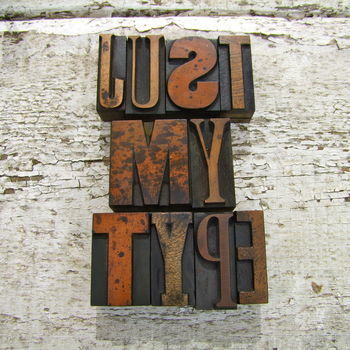 If you wish to have a mix, choose different sizes by clicking on our other letterpress listings. You can do this by clicking on 'view all sellers products' link below. Or view related items.